Rajiv Ratn Shah received his PhD in computer science from the National University of Singapore, Singapore. Prior completing his PhD, he received his MTech and MCA degrees in computer applications from the Delhi Technological University, Delhi and Jawaharlal Nehru University, Delhi, respectively. He has also received his BSc in Mathematics (Honors) from the Banaras Hindu University, Varanasi. Dr Shah is the recipient of several awards, including the prestigious European Research Consortium for Informatics and Mathematics (ERCIM) Fellowship and runner-up in the Grand Challenge competition of ACM International Conference on Multimedia. 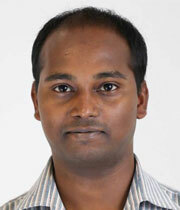 He is involved in organizing and reviewing of many top-tier international conferences and journals. After joining IIITD in Dec 2016, he has spent 1 year as a Research Fellow in Living Analytics Research Center (LARC) at the Singapore Management University, Singapore.